A selection of books and articles for further reading. 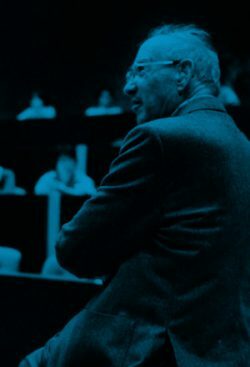 Peter Drucker observed that “innovation in any one knowledge area tends to originate outside the area itself.” Among products, Drucker wrote, “technological streams … increasingly cross each other, with frequent spillovers from one to the other.” This is also true among entire sectors, as Drucker demonstrated in his classic 1989 Harvard Business Review piece “What Business Can Learn From Nonprofits.” Of course, it’s one thing to recognize that cross-pollination can be effective. It’s another to make it so. People in different domains don’t speak the same language, and throwing them together in a room can result in more noise than insight. Done right, however, cross-pollination helps people to get past their default assumptions. What follows are the stories of 10 smart executives—working in companies, nonprofits and cities—who have built on this understanding. In a recent essay, Raj Kosaraju, the chief information officer at Maxil Technology Solutions, encouraged executives to look at their business “with fresh eyes,” in part by scanning neighboring fields—and in part by pushing their gaze to even more distant places. He noted, for instance, that airlines improved turnaround times for jet service by dissecting the work of Indianapolis 500 pit crews. Oil transmission companies discovered better ways to seal cracked pipelines when they observed the self-healing properties of capillaries. And a whitening toothpaste was invented by studying how laundry detergent cleans clothes. Of course, it’s one thing to recognize that cross-pollination can be effective. It’s another to make it so. People in different domains don’t speak the same language, and throwing them together in a room can result in more noise than insight. Done right, though, cross-pollination helps people to get past their default assumptions. Their minds become more open. What follows are the stories of 10 smart executives who have built on this understanding. The Drucker Institute’s Phalana Tiller visits the San Francisco offices of IDEO, a global design firm that has started to bring in a new discipline to expand its thinking: biology. Chris Rufer was already thinking about a different way to manage his company when he came across the book Ants At Work by entomologist Deborah Gordon. “Although ‘queen’ is a term that reminds us of human political systems,” Gordon writes, “the queen is not an authority figure. … She does not decide which worker does what.” For Rufer, the realization that the insect world behaves this way was validating. Rufer’s innovations sprang in part from another kind of crossover: Early in his career he’d worked in trucking, which is largely a self-managed business. Now he was organizing a factory, which is ordinarily highly boss-dependent. Why, he thought, should the factory worker not be as independent as the trucker? The job of an entrepreneur or innovator is to take a lot of ideas from other places. You don’t really come up with that much yourself. But when you put the pieces of the puzzle together, they come together in a different way. Microsoft Studios employs a team of psychologists to help the company’s video game designers figure out whether they are maintaining a player’s interest and building products that are sufficiently fun. But sometimes, even the richest exercises of imagination lose their intended audience. That is why Microsoft Studios has a user research team of 50 people, a substantial number of them with doctorates in psychology. Nichols and his crew help the game designers at Microsoft understand why players might tune out after five minutes, or why they might fail to notice a new icon that’s been tucked into the lower left corner of the console. Despite a focus on creating measurements for concepts such as “fun” and bringing a scientific lens to the process, Nichols and his colleagues have no intention of encouraging design by committee. 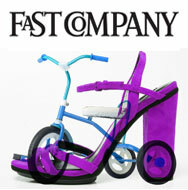 Consequently, he says, the designers appreciate the help they get. We usually take our pets to one doctor and ourselves to another. But sometimes, it helps to erase this line. As it turns out, what’s making you sluggish might also be making your pet gerbil sluggish, and what might repair the heart of a horse might repair the heart of a human. In recognition of this—and with the goal of “one medicine”—more than 100 scientists and doctors from all sorts of specialties have joined together at the Center for Comparative Medicine and Translational Research at North Carolina State University. Founded in 2005, the center draws on experts in biostatistics, oncology, comparative neurobiology and many other fields. “Scientists are incredibly independent, incredibly smart people,” says Jorge Piedrahita, a professor of genomics at N.C. State’s College of Veterinary Medicine, and the director of the center. Because of this, he explains, it takes diplomacy and a lot of meetings to foster effective communication across the functions. But interesting findings keep coming in. For instance, center researchers have found that human B-cell lymphoma and canine B-cell lymphoma mimic each other. They have also used cross-disciplinary collaboration to come up with insights on epilepsy, glaucoma and other medical conditions that affect both human and non-human animals. The consulting group ReD Associates believes it has found a way to help escape this trap: Bring in the social scientists—people with backgrounds in the humanities, like history and sociology and anthropology. After a couple of years, they invariably get there—and spot things that those with traditional business backgrounds are prone to miss. When ReD worked with the brewer Carlsberg, for instance, the firm’s ethnographers were invaluable in sussing out that “bar owners’ challenges were more emotional than market-driven” and that they didn’t like the way they were being treated by the beer maker’s sales force. This led to new products and experiences designed around taking bar owners more seriously “and appreciating the space they held so dear,” as ReD has described it. “If you spent your 20s trying to figure out how to understand history, people in other cultures, and you combine that with business, you’re suddenly extraordinary,” Madsbjerg says. When he was selected to be a fellow at FUSE Corps, which aims to help local government address the biggest challenges facing cities, Jeremy Goldberg already had experience as a nonprofit founder (Global Youth Partnership for Africa) and private-sector consultant (AMGlobal Consulting). The trick now was to tie together these diverse arenas. The fellowship, which began in 2012, took Goldberg to San Jose, Calif., where then-mayor Chuck Reed encouraged him to explore collaboration between the city and Silicon Valley businesses, philanthropies and nonprofits. Within a year, Goldberg had worked with the mayor and city leaders to assemble an advisory council of 16 local executives—from across all of these sectors—who were focused on helping San Jose partner with private-sector volunteers and civic agencies. In 2013, Goldberg’s fellowship turned into a job as deputy chief of staff for civic innovation in the office of the mayor, and Goldberg worked with the senior advisory council to create the Silicon Valley Talent Partnership, a nonprofit devoted to fostering cross-sector collaboration. Its efforts have ranged from relatively modest to ambitious. Examples of the former include the work of six volunteers from eBay who created a kids’ app for the San Jose public library to encourage summer reading. Examples of the latter include bringing open data to city residents so that they can easily digest city budget numbers. Today, Goldberg is at work at another nonprofit, Civic Consulting USA, which helps put together long-term, multi-company teams as a resource for government leaders to tackle tough issues. What if you’ve built the perfect mousetrap, yet your team of inventors can’t figure out how to equip it with a spring that’s light and flexible enough?  That’s when you might reach for the ultimate in cross-pollination—and call in InnoCentive, a company that specializes in framing a problem and inviting a solution from everyone in the world. The company got its start in 2001, when founders Alpheus Bingham, Aaron Schacht and Darren Carroll were part of a business innovations unit at drugmaker Eli Lilly. All were familiar with a standard pharmaceutical challenge: finding synthetic routes to the production of a variety of medications. The desired results were known—a molecule made up of certain atoms connected in a certain way—but how to get there was not. So the team created 21 challenges, with a cash reward tied to each, and invited anyone anywhere to send in a replicable solution. At least six of the challenges were soon solved. The effort was so successful that Bingham and his colleagues realized that their approach could be applied to other industries, too. The company that they had created in the process of issuing their challenges, InnoCentive, was spun out of Eli Lilly. Bingham became CEO of the independent enterprise, whose purpose was to help other companies to do what Eli Lilly did: find the answer for the one component of an innovation that seems to defy solution. So far, InnoCentive has posted more than 2,000 challenges, acquired over 355,000 registered “solvers” from across the globe and achieved a success rate of 85%. Notably, Bingham says that the person who comes up with the right answer is almost never the person you would have hired for the task. If you’ve ever pushed your beverage cup against a lever for some ice and soda, there’s a good chance you’ve made use of machinery built by ServEnd, a company that Greg Fischer helped to found and then led for almost two decades. Now, as mayor of Louisville, Ky., he’s hoping to press the city’s workers in new directions. In the private sector, Fischer says, he familiarized himself with the principles of continuous improvement. These days, he is using two different initiatives to instill that same mindset among those who staff Louisville’s various agencies and departments. A Bloomberg Philanthropies-funded “innovation delivery team” is leading the first effort. It has been focusing on such questions as how to improve emergency medical services and how to rehabilitate vacant lots. The second effort comes courtesy of the Office of Performance Improvement, established by Fischer to make government services work better and to measure their progress through a system that has been dubbed “LouieStat.” All city departments have now incorporated LouieStat into their operations, and the public can go online and see where things stand for themselves. For example, Metro Animal Services has set a goal of limiting overtime hours for the year to 1,900. That hasn’t worked too well, as the number has already climbed past 3,000. But Animal Services has also set a goal of reducing lost time injury rates to 3.24, and it has handily surpassed that mark by keeping the rate down to 1.41. John Rauser, a data scientist at Pinterest, has a history of bringing together people with diverse backgrounds: computer science, but also econometrics, physics and statistics. The work of Maritz, a sales and marketing company originally founded as a jeweler in 1894, includes diverse specialties—employee reward programs, customer loyalty programs, meeting and event planning. But there is a common thread to all of these things: making people feel good about their experiences. And that has led Maritz to poke around deeply inside our heads. “See people as people, put yourself in their shoes and consider their total experience and the residue that you want to create in the brain,” says Mary Beth McEuen, head of the Maritz Institute, a subsidiary whose mission is “unleashing human potential.” It does this by applying the rapidly proliferating insights of neuroscience to the human relationships in which Maritz specializes. The Maritz Institute has distilled its findings into 21 core design principles, each of which is based on hard science. For instance, the principle of “narrative engagement”—sharing stories that inspire—is rooted in part on studies by Claremont Graduate University neuroeconomist Paul Zak. He has found that the right story can generate strong empathic responses in the brain associated with neurochemicals such as cortisol and oxytocin. These principles are then taught to in-house “designers,” who help Maritz’s clients create “transformational experiences” through large business meetings, events, motivational programs and customer loyalty programs. McEuen says that the work of the Maritz Institute, founded in 2009, has influenced not just the designers but the company as a whole. And she stresses that the advantages gained from understanding what’s happening inside the brain are more than just theoretical. “Our measure of ‘unleashing human potential’ turns out to be more closely related to business outcomes than measures of satisfaction or engagement,” she says. John Rauser likes to say that a “data scientist” is someone who’s better at statistics than a software engineer and who’s better at software engineering than a statistician. When Rauser started work at Amazon in 2003, he was a software engineer. He had a talent, however, for discerning bigger-picture questions and then amassing the right information that would help answer them. Before long, Rauser was helping Amazon to recruit others who had a similar knack—people with experience not only in computer science but also in analytic disciplines like econometrics, physics and statistics. At Pinterest, a visual discovery tool, Rauser’s title is now data scientist. His mission, at its most basic, is to “help people think more clearly.” At the moment, this means that he is designing metrics that will allow the company to assess its users’ experience more accurately. Rauser says that he has also benefitted in his career from another form of cross-pollination. In the 1990s, while working at a hedge fund, Rauser fell in with a crowd of circus artists, and in order to be a part of their performances, he began studying modern dance. Aside from having fun, Rauser says he learned a lot about communication—and the limitations of relying on data and logic alone. Assumptions matter, especially those that have faded into the background. 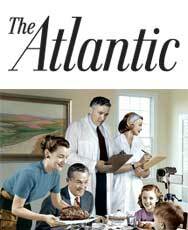 To strengthen its ability to cross-pollinate, Procter & Gamble has taken various steps. Among them: swapping employees with Google and encouraging “open innovation” with those outside the company. Yet the consumer products maker also recognizes that when you have a one-man cross-pollinating virtuoso, you just let him do his work. It was Craig Wynett who questioned the virtues of the ordinary mop, noted the absorbent qualities of a dry cloth diaper and came up with a contraption that combines the best of both: the Swiffer. Wynett, who today serves as P&G’s chief creative officer (and is an emeritus board member of the Drucker Institute), encourages his colleagues always to look for how “A should be applicable to B,” and to be open to defining performance differently. What will you do on Monday that’s different? Arrange to visit an organization in another field to learn how it tackles different challenges and opportunities. If you’ve never done this, you’ll be surprised how open and inviting non-competitors tend to be. Think hard about the books and publications you usually read—and consciously expand the list to drink in a more diverse selection of subjects and disciplines. On a regular and rotating basis, have the members of your team teach the group about a seemingly non-work-related subject that they’re knowledgeable about—and then discuss what lessons can be connected to your business. 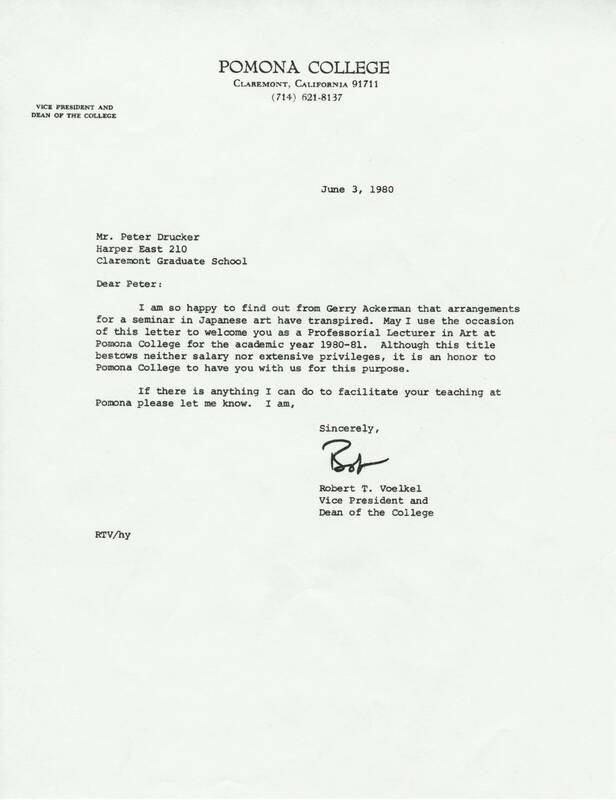 In this 1980 letter, Peter Drucker is invited to lecture on Japanese art at Pomona College. Drucker became an expert in the field because the beauty of Japanese paintings—especially those from the 14th to the 19th centuries—moved him. But he also drew on this knowledge for broader insights into Japanese society and business. The original document is held by the Drucker Archives, a part of the Drucker Institute. Fleming writes that, as a rule, people in similar fields are more likely to produce useful cross-pollinating innovations than those in fields more distant from each other. However, when seemingly distant fields do manage to combine into a breakthrough, it’s especially valuable. When Natterson-Horowitz, a cardiologist, discovered that monkeys at the Los Angeles Zoo suffered the same symptoms of heart failure as her human patients, she began looking into a whole variety of human ailments to see if they also affected animals. As it turns out, gorillas can suffer clinical depression, and koalas can get chlamydia. 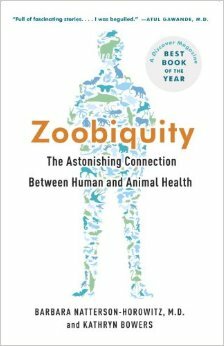 Natterson-Horowitz and Bowers write about the many shared medical traits of humans and animals—and what they can teach us about health and well-being in all species. In this excerpt from her book InGenius, Seelig offers examples and suggestions for creating structured cross-pollination in the workplace. She emphasizes the importance of talking to a variety of people, hiring diverse talents, looking for ways to combine seemingly unrelated things and building on existing ideas.